Talking Cure (2017) by Tom Isaacs, Graduate Forum, Sydney College of the Arts (image by Kath Fries). Lazarus has fallen asleep (2017) by Tom Isaacs, ‘Proximity’, Scratch Art Space (image by Ivana Jovanovic). Can these bones live? (2016) by Tom Isaacs, ‘Rubberneck’, 107 Projects (image by Julie Vulcan). Night Soil (2016) by Tom Isaacs, ‘Intercessions Open’, Scratch Art Space (image by Ivana Jovanovic). 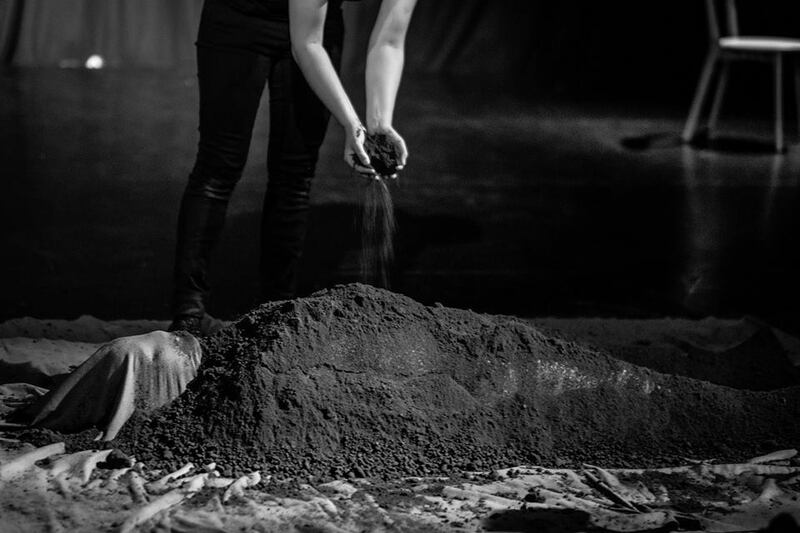 Night Soil II (2016) by Tom Isaacs, Sydney Festival of Death and Dying, Darling Point (image by David Brazil).